The great thing about Tulum is that you can do it as inexpensive or as luxury as fits your budget. We've included some options below that cover the price spectrum. Feel free to get in touch with us directly if you'd like additional information or other specific recommendations! Ana y Jose is one of the higher-end hotels in Tulum, but you can get a pretty good deal on rooms right now. They also have a very well-reviewed spa! The beach in front of Be Tulum is absolutely amazing. The food here is delicious, and each room has its own personal pool. For those who have been saving for a luxury vacation - this is the spot! Playa Azul - recommended by our wedding coordinator. She said it has a great range of prices. Cabanas Tulum - recommended by our wedding coordinator. The Beach - recommended by our wedding coordinator. Papaya Playa - we spent some time here last June. They have amazing food and drinks, a beautiful view, and a wide range of prices. 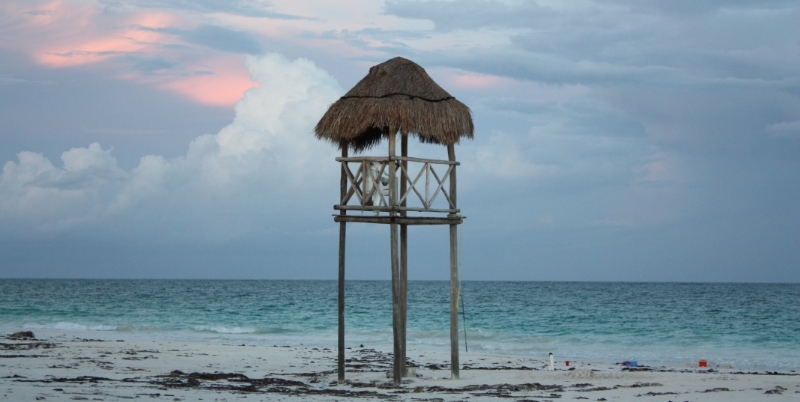 Probably some of the most inexpensive rates in Tulum ranging up to the more expensive.